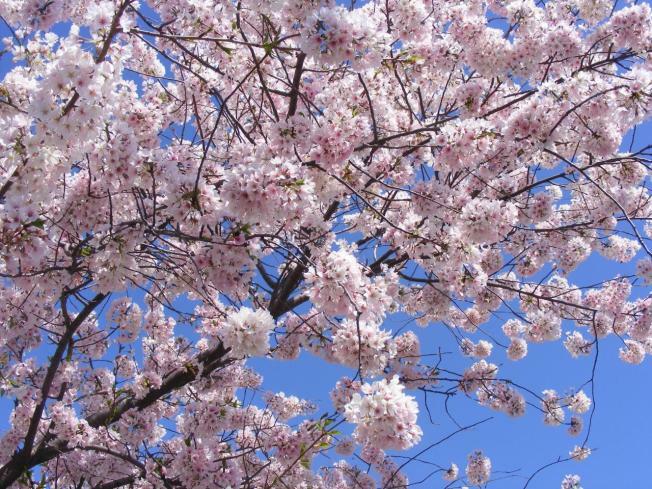 All things cherry are blooming over at the Brooklyn Botanical Gardens. Though spring is definitely not completely upon us (snow yesterday, WTF), some trees are bravely pushing forward with big pink blooms. The BBG has launched a CherryWatch map that designates trees that are in pre-bloom, first bloom, peak bloom, and finally post-bloom. Most of the dots on the map are still firmly in pre-bloom, but there are a few “early adopters” that have already marched into peak bloom. You can wait for the giant Sakura Matsuri festival the first weekend in May—a blowout celebration of the blossom, which includes such novelties as performances by Japan’s hottest DJs, taiko drumming, an appearance by an anime voice actor panel, bonsai pruning workshops, and of course, a traditional kimono show. If the festival isn’t really your thing, you can always take advantage of the perpetual free Tuesday admission that BBG offers (regular admission is $8) and head off the masses to check out the pretty pretty trees. Oh yes, I’ve heard that psychedelics enhance the viewing experience greatly. Just FYI. And here’s a time-lapse cherry blossom video from the BBG, complete with intense trippy music.